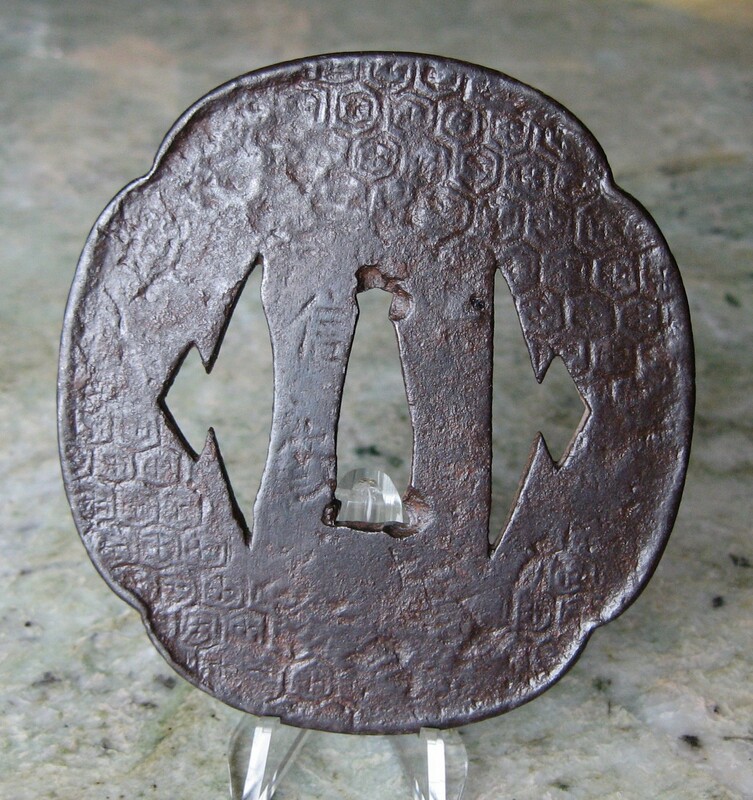 "Large oval mokko iron plate tsuba with raised rim, the edge and the plate carved with the classic tortoise shell pattern found on many Nobuiye tsuba. 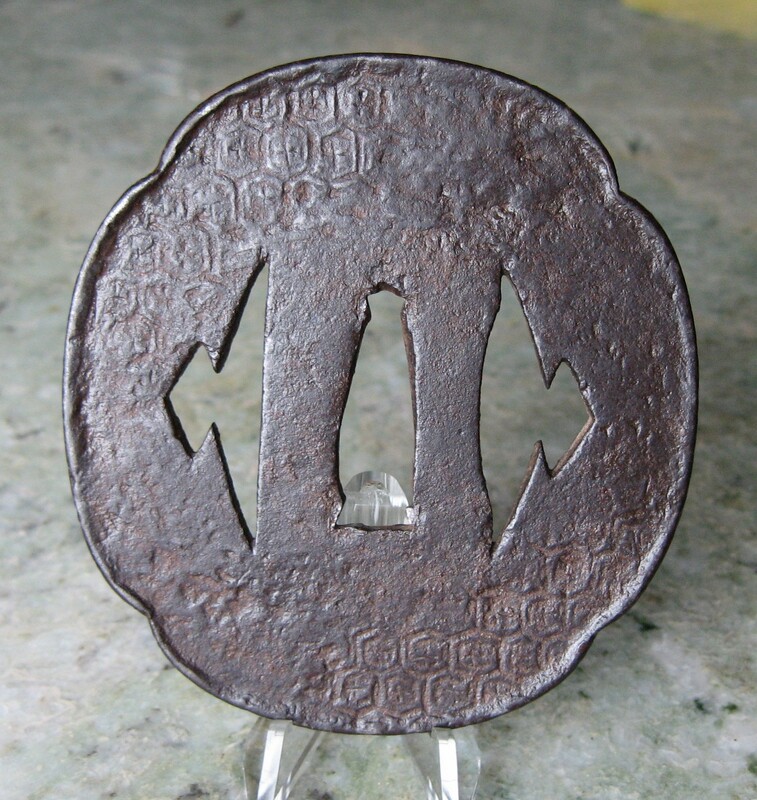 The plate surface well worked and showing the forging patterns that are famous in Nobuiye tsuba. 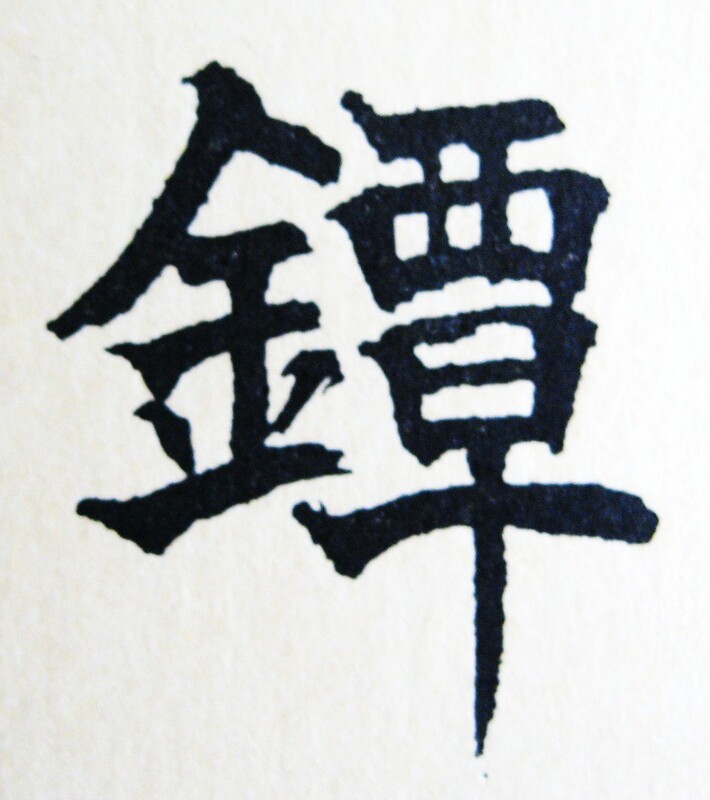 The hitsu-ana are in the form of the Matsukawabishi mon, half forming each side. 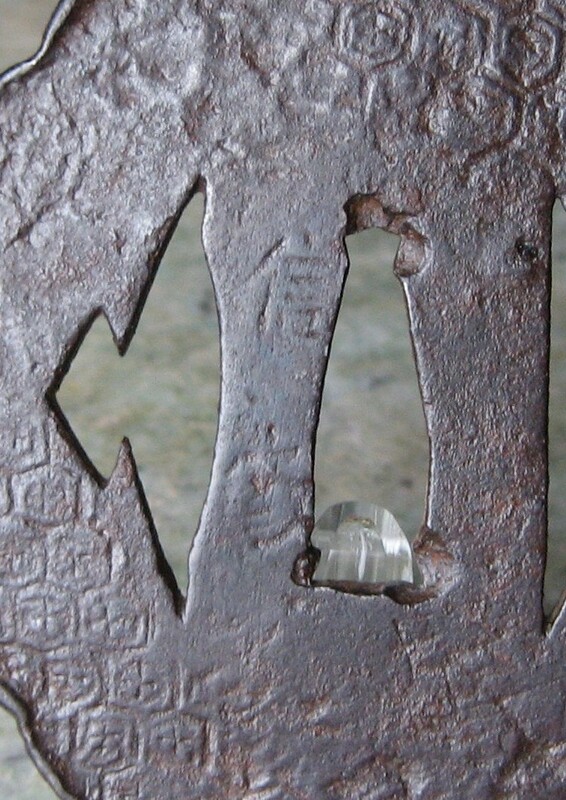 All these elements are repeated on the reverse side.